Milk does not always come from cows. If you have allergies, asthma, or eczema, if you are trying to lose weight or if you are lactose intolerance, choosing the right milk for daily use may make a huge difference in reaching your health goals. Here is a quick guide to the most commonly available kinds of milk and their unique nutritional merits. Cow's milk is the world's most common source of dairy products, but many people become sensitive to it. People who are given cow's milk in early childhood may develop an "allergy that isn't quite an allergy" that causes bloating, inflammation, and weight gain, without ever causing readily recognized allergy symptoms. The solution to cow's milk symptoms can be very simple. Switch to a different kind of milk. People who have antibodies to cow's milk usually don't have antibodies to goat's milk, and people who grew up on goat's milk and can't drink it as adults can usually drink cow's milk. Goat’s milk is a highly nutritious food. The proteins in goat’s milk are more easily broken down that the proteins in cow’s milk, and less likely to cause allergic or autoimmune reactions. The proteins in cow’s milk have to be digested in the human gut for about three hours, but the proteins in goat’s milk can be digested in about an hour. This means that if you are slightly lactose intolerant, you may not get a bad reaction to goat’s milk even if you typically get a bad reaction to cow’s milk. Goat’s milk is high in medium-chain fatty acids that are helpful in protecting muscle when you diet, and it less likely to form a mucus in the lining of your intestine. Goat’s milk is high in antioxidant selenium. Goat’s milk is a useful food. It’s just not a perfect food. Plant-based milks are not perfect, either, but they have their merits. Almond milk is high in calcium and in healthy fats. It is free of the casein that triggers cow's milk allergies, but it is not a source of complete protein. If you are allergic to almonds, you will be allergic to almond milk. Coconut milk is an excellent source of lauric acid. This fatty acid stops microbial growth. As a result, food cooked with coconut milk tastes better longer. Canned coconut milk stays fresh at room temperature for up to a year. Although too much of a good thing is possible with coconut milk as it is with any food, moderate amounts of coconut oil stimulate thyroid function and encourage weight loss, so much that Asian farmers avoid feeding coconut to farm animals they want to fatten up. Using coconut milk in moderate amounts, up to about 2 cups (480 ml) of thin milk or 1/4 cup (60 ml) of thick milk may help you lose weight (about 1 pound or half a kilo a month) even if you eat the same portions of other foods. Rice milk is a good source of carbohydrate but not much else. It's low in protein and vitamins have to be added. 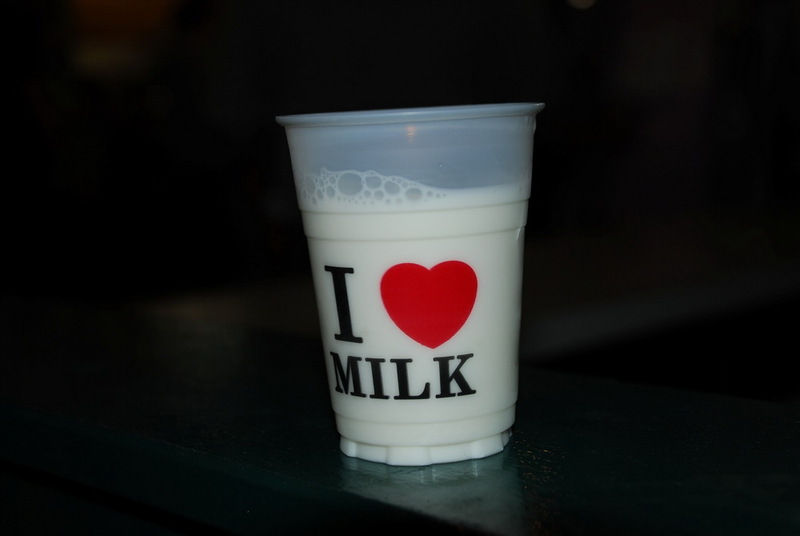 Soy milk is low in saturated fat and high in protein. If you are sensitive to soy products, however, it can cause burping, belching, diarrhea, and flatulence. If you can't drink cow's milk, there are many other healthy alternatives. Try them all to see which you like best, but be sure that any milk product you buy is fortified with vitamins and calcium. Darling, A., Millward, D., Torgerson, D., Hewitt, C., Lanham-New, S. (2009). "Dietary protein and bone health: a systematic review and meta-analysis". American Journal of Clinical Nutrition. 90 (6): 1674–1692. How safe is it to mix Apetamin with other ingredients for weight gain and good health?